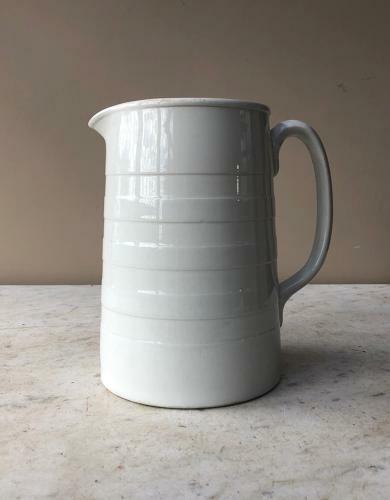 Edwardian White Banded Dairy Milk or Cream Jug in Excellent Clean Condition. No damage or restoration. Great 5 Pint Size & Stamped "5 Pints" on the base.